So many things have been sowed in 2017 to be reaped next year, that it is nearly impossible not to be thrilled with 2018. With the purpose of sharing with you content marketing main tendencies in 2018, we asked our experts for some tips in their respective fields. Here is the result of this curatorship with several trends that will have an impact on the way you do Content Marketing! It has become increasingly common to have readers themselves promoting content. Such strategy has been adopted by companies of all sizes and in different areas of work, and the results are super-efficient. The reasons are obvious: (1) by making use of external collaborators to produce content, you cut new content’s production costs, hence you’ll also cut your CAC, (2) you welcome a fresh point of view to your content channel, making your strategy richer, (3) you can get more shares because the person who made the content will certainly share with all their network and (4) you get closer to your users, readers and brand supporters, which in turn, will generate more business opportunities, whether it is for sales, acquisitions or partnerships; last but not least (5) the reader’s trust in information is much higher when this information comes from a ‘neutral’ source, when compared with traditional advertising. We have already talked about how copywriters can apply UX concepts when writing content and now the trend has been reversed: designers should pay attention to content when creating their pieces. Well, content has become such an important communication media, that it will become a crucial factor in nearly every user interaction sector. Over the next few years, we will see a growing focus on content when it comes to experience design. Queble Solutions, a mobile and web design agency, listed the focus on content as the number 1 UX trend in 2017. The goal is simple: make sure the user will have a better experience. After all, it is important that the formats and colors are pleasant and that they make sense visually, but the main point that should be guiding any design is actually the content it displays and the purpose of this content. Just like content should be curated and written in a way that it is easy to digest, an interface should also be constructed around the same principle, with aims of making it clear to the user. In other words, content is not only something to be considered by Content Marketers, in 2018 there will be a lot of attention to content in the product area as well. In 2018’s content marketing trend, the content strategy is going to expand to a more modern SEO model which focus on quality of traffic, and not only on volume. This model is called Topic Clusters. To focus on Topic Clusters is to focus on topics that generate a more qualified traffic in a less competitive niche by using a deep article on a certain topic, rather than creating many pages with different variations on the same key-word. This article can be constantly updated so it is always relevant. Moreover, the posts that used to compete against themselves will now create links to the larger page, what we call pillar page. So, Google’s algorithm understands when your site is relevant for a certain topic. This is what the process can do. BTW, you can manage your Topic Cluster strategies using Contentools.. If you want more information on this topic, SEO and CEO guru Moz Rand Fishkin was already making some prophecies about the matter in 2014. And HubSpot has recently released an in-deep article about the subject, presenting Topic Cluster as the new evolution of SEO. In case you want to apply the trend as soon as possible, there are a couple of tools for Topic Clusters management which have already been released. HubSpot itself has launched a solution for Topic Clusters strategy definition. Some companies are developing solutions to help marketing teams to organize their contents in clusters and topics, this is the case of Marketmuse. But basically, to surf the wave of this trend you must begin reviewing your purpose and asking yourself: how, in terms of information, can I help my personas? Now, your mission must be something higher than just making a sale – your blog must have its own mission. For a long time, the media has been talking about how new technologies (which in popular knowledge have merged into a cloud of buzzwords such as big data, machine learning and A.I.) had the power of making better and fairer decisions than human beings. However, not much has been said about the ethics and the implications of such statistical and technological methods of analysis. Few people know this, but the use of biased data may cause even more social inequality. As a result, we have decisions which lead to actually more segregation; like the ‘bubbles’ generated by Facebook’s algorithm. And it is precisely on technology’s negative aspects that researchers have been focusing; wondering how can we use it to promote a better society, not the opposite. The first solution is obvious: treat data to ‘remove’ bias. Other solutions concern us more in the individual level, regarding our attitudes. One of them is related directly to the content writer’s work. The idea is simple: will the content I am making help to make the world a better place? Or is it reinforcing stereotypes? Over the last years, some brands have dared to make content to promote visions that went beyond the status quo of their times. It is the case of Heineken, that instead of continuing with ads which reinforced the idea of men as their main consumers, made this action. So, the trend in 2018 is that his kind of attitude takes the spotlight. Because of that, my tip is: make content about what you want to see in the world! One of the biggest trends in the last decades has been Globalization, a process that has been creating growing economic integration among nations. In the last few years, however, we’ve noticed some resistance to this process coming from local business – and a growing valorization of the local market. That is the reason why – if the expansion to new markets was once carried out by imposition – today it is necessary to avoid shock. For this purpose, the concept of hyperlocal has been applied. The concept consists of the personalization of market interaction with the local customs. I have lead the expansion of Contentools in Italy and worked in loco and I notice the importance of knowing the area to which you are expanding, as well as its customs and ways of interacting with the market. This know-how is crucial in three moments of new market’s prospection: marketing, pre-sales and sales. Every country and region have their own way of going about their businesses, so when starting a procedure to stablish you sales force in another continent, you must be immersed in that country’s culture and develop partnerships that will allow you to have a better understanding of who are the players in that market, so you can create a more effective e focused sales strategy. With hyperlocal becoming bigger in 2018, companies that invest in marketing strategy, pre-sales and specific sales for each country or region to which they’ve decided to expand, will have better results. 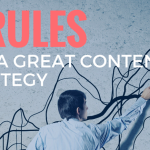 That includes creating content strategies specific to each region taking their culture as a reference point, and defining distribution and conversion channels that make sense when it comes to social interactions of this target market. In order to do that, you can count with a management tool for content strategies and work with professionals remotely that are living in loco the day-to-day of each country to which you want to expand. In all these years, the famous platform marketing map of ChiefMartech.com has been updated with dozens of new players and categories. Currently, the little monster looks like this. The opportunities that technology has brought to marketing professionals are yet being mapped, with concepts like Big Data, Machine Learning and Artificial Intelligence being widely, but not always correctly, employed, in articles and in practice. In any way, a proper toolkit offers a multitude of resources to the marketing teams, and Inbound is no exception to that. To use the most modern and complete tools available in the market is a dream, but it can quickly become a nightmare when they “don’t speak the same language” than the tools you or other areas of your company are already using. Because of that one of the main trends in content marketing for 2018 is to facilitate the integration between these tools. Whether it is native, via API or even through Zapier, information circulating with speed and precision, without loss or alterations, allows for a higher efficiency and greatly impacts the final result. We start with the assumption that content marketing is a communication strategy that has emerged with the change in the purchase process. In this new vision, companies took upon themselves to share their knowledge and generate better results in the digital world by empowering the potential client. The idea is that this client finds out the solution by him or herself, through their own analysis of the problem/situation, alternatives for solution, eventually making an informed decision. That is, every area is benefitted by content production. The responsibility of this strategy working has always laid on the shoulders of the marketing teams, which in fact play the role of making it work, but is the marketing area the only (or the main) source of knowledge about the business? Think about it, the sales team talks to hundreds of prospects all the time, who bring objections and real insights of the acting market, generating inputs for content much closer to reality. A successful customer team (service) analyzes and finds out new ways to use a product or service every day, and realizes the gaps between theory and practice – that is why they have an incredible input to not only retain: promote customer’s loyalty. HR/Operations play their role of hiring talents and know better than anyone about the profile needed to build the “dream team”, so they are also able to promote information to attract people with skills and cultural fit. We have already talked about the importance of involving other teams in the company when listing ideas for content. But now, the trend has reached a deeper level: a model of collaboration among all areas not only to list ideas, but also to make the content itself. In this collaborative model, the marketing area plays a more strategic and tactic role to involve all the company in the content production and make the whole content meaningful to the company’s strategy. In 2018, companies that are able to meet the challenge of creating a synergetic process among their sectors will be able to create richer contents, more assertive ones that will build trust. And trust is the first step to building a relationship that consists of: selling more, retaining more and growing more and more. Everything that happens in the World has an impact on how we communicate with the market. Be it a new social initiative that is gaining strength or a rather sinister technology, you and I will have to adapt to its result. After all, any kind of innovation or movement that gains strength influences people’s behavior. It is up to us finding our path amid all this and creating ways to deal with these situations – or losing the opportunity by clinging to the past. That is why it is so important to pay close attention to the more diverse trends, even when they don’t seem to impact our businesses directly. And you, what is boiling there in your corner of the world that can impact the way we do Content Marketing nowadays? Share with us here in the comment section!